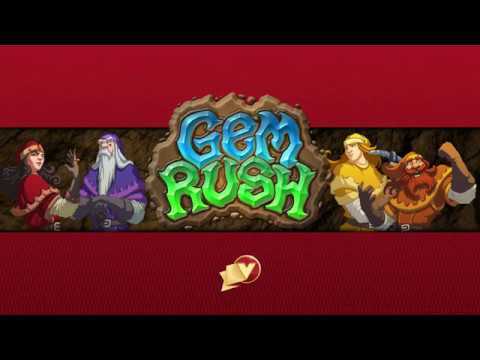 Grab your digging tools and prepare for Gem Rush, an easy-to-learn, 1-6 player blitz to build a magical gem mine. Use your gem cards to construct new rooms, and use the rooms to replenish your gems. Race your friends for fortune in rush mode, or work together to save the mine in crisis mode. Either way, you've got to dig fast and manage your gems carefully. A typical card includes two gemstones; you can count it as either – or as both if you can find the right spot to use them. The game board changes each time you play as the playing area is constructed out of modular room tiles, each with different abilities and different opportunities for further construction.